Join us for two fun-filled days of hands-on projects with exclusive OESD projects taught by an OESD Certified National Educator. In this two day hands-on event you will learn skills and techniques to increase your embroidery expertise. Learn shaping, design placement, editing and other skills and techniques. Plus our certified embroidery expert will provide a stabilizer lesson to ensure your embroidery projects make the grade! Please be sure to review our class policies. There is a strict limit of no more than 30 people for this class. We will be providing BERNINA machines and will have no more than 2 people per machine. Skill Details: We welcome all levels of skill at this class. You don't even need to own an embroidery machine as we will be providing everything from the machines, to the materials, and even lunch! Instructor Bio: Tamara has been sewing for as long as she can remember and loves every aspect of it except handwork. Her professional sewing experience began in Jr. High sewing costumes, home decor and clothing for family and neighbors. Her sewing experience includes machine embroidery, digitizing, quilting, garment design, home decor, and crafts. After working in a variety of corporate and entrepreneurial ventures, she returned to her real passion, sewing. Within a year of purchasing her first embroidery machine, Tamara had invested in a multi-needle machine, digitizing software and launched a successful embroidery and gift business. Back in her home state of Texas, she began coordinating the development of new products, educational tools, magazine articles and a video education series for embroidery and quilting. She then hit the road as a national educator teaching embroidery software and stabilizing techniques at national shows, in-store events and to dealers. Behind the scenes, she also created new embroidery and quilting projects, collaborated on software development and created software education materials. 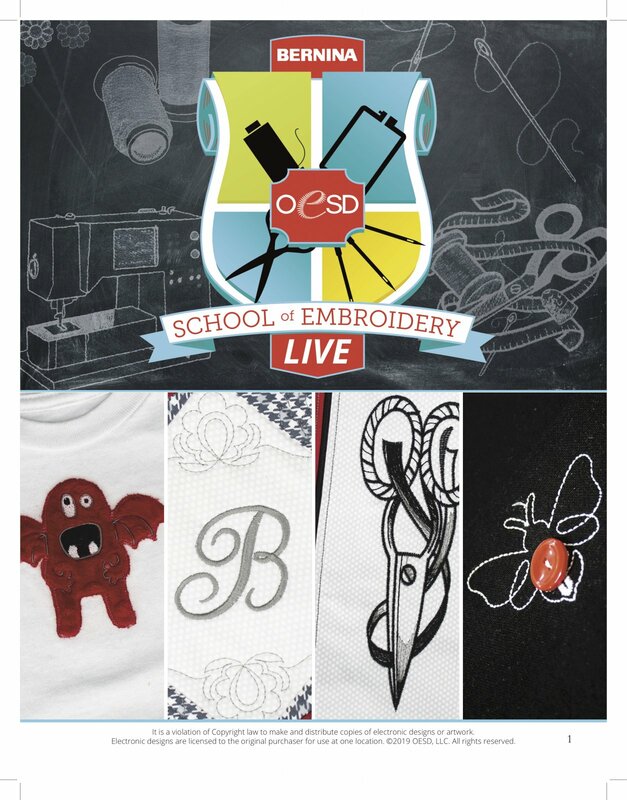 Tamara has long a fan of the designs, products and digitizing expertise that is exemplified by OESD since she began to embroider. And so, she is very excited to put her enthusiasm, energy and expertise into bringing these exceptional products directly to the sewing public at the OESD Super SPREE events.